Punnett's Square: Is your physique not quite summer ready? You can blame your genes. Is your physique not quite summer ready? You can blame your genes. In January 2019, while most Americans are fulfilling their new year resolutions, U.S. News & World Report published an article which was originally composed by HealthDay News that may relieve some pressure to have that perfect beach body this summer. Robert Preidt wrote this article based on a study performed by Wellcome-MRC Institute of Metabolic Science at the University of Cambridge. Sadaf Farooqi lead the study which debunked the myth that all people who are overweight are lazy and do not care about their health. There have been similar studies done in the past which focused on obese people and how their genes may be effecting their weight. This new study differs by focusing on a broader scope of individuals and comparing their genetic make up. 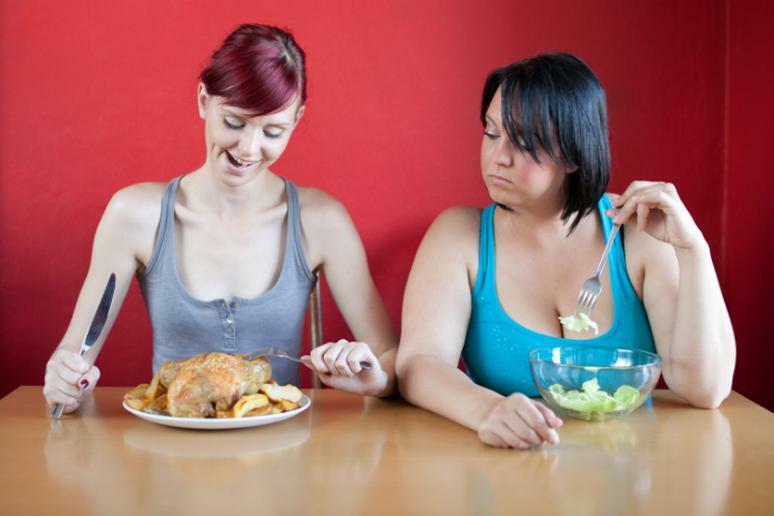 The group of people being analyzed included those who are underweight, healthy weight and obese. Genetic variants were discovered present in each weight category. This data was calculated to determine what impact ones genes has on the outcome of their physique. It was concluded that the individuals with specific genetic variants had a higher chance of being obese. Accordingly, thinner people showed an absence of those same genes. We are often quick to judge others for anything and everything but most commonly their weight. People who are "too skinny" must have an eating disorder or self image issues. Those who are "overweight" must have no self control and never exercise. These thoughts are not only offensive but simply incorrect. I believe the media should focus on increasing awareness of these types of studies. This does not mean that your physique is out of your control. It just means that we all need to be a little more gracious towards one another and realize we are not all cut from the same mold. I agree sometimes I feel like people do forget that sometimes here are underlying issues to why people gain or can't keep on weight. I would agree that genetics has a partial impact on a person’s weight on whether or not they’re underweight, average, or obese. However, in America most obesity is due to large portions and eating fast food that’s high in calories but doesn’t keep a person full. On the contrary underweight people could be suffering from real body image issues or the genetics of a fast metabolism. Media is constantly adding stress to body image of teenagers and adults by advertising with unrealistic photos of celebrities. I'm a bit surprised that genetics has such a key role in weight loss and gain though. It's opposite of the constant "eat healthy and exercise" mantra everyone has been thought to believe. April, I agree with your views in regards to the media and us as humans, judge too quickly and should focus on increasing awareness altogether. I believe in the case of this article, it is true that genetics does play a part in some one being able to control or not control there weight. We also know medically that the thyroid (whether it is overactive or under active plays a role in this) which is inherited genetically. I do believe though some people have a bigger affect on this in regards to there own actions such as over eating because they are bored.